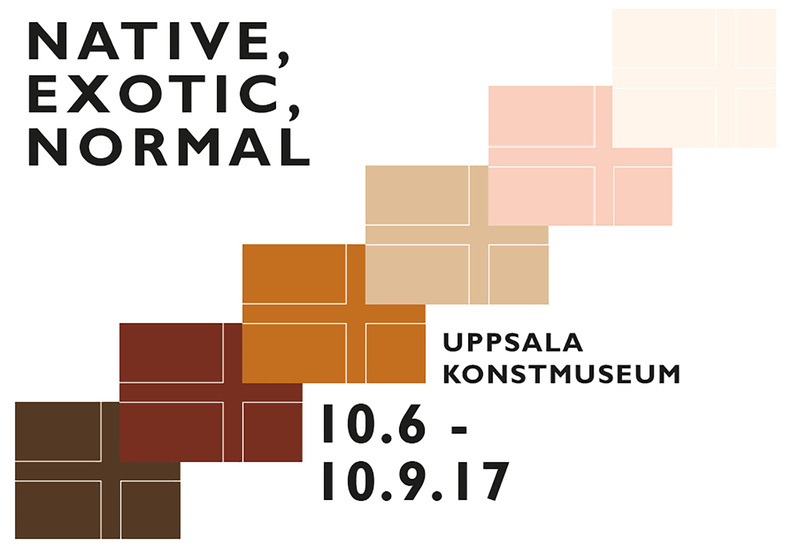 If in Sweden: Artist duo Hesselholdt & Mejlvang’s exhibition Native, Exotic, Normal will open at Uppsala Konstmuseum Saturday 10. June from 12 – 4 pm. Inauguration at 2 pm. Daniel Werkmäster, the museum director, will welcome the visitors and turn the floor over to Åsa Bharathi Larsson, PhD, senior lecturer at the Department of Art History at Uppsala University, who will inaugurate the exhibition. In an extensive installation, Hesselholdt & Mejlvang approach issues regarding how treacherously easy it is to try to understand people from outer parameters such as appearance, ethnicity, religion and cultural expression. As a starting point, the Danish artist duo uses the dermatologist Thomas B. Fitzpatrick’s scale of skin types. Through six colour nuances, the visitor is lead on a culture historical and pop culture tour. The exhibition is a critical commentary on Eurocentrism, general norms, prejudices and clichés, and tries to create in-depth and reflective perspectives regarding the cultural categorisation in our society.